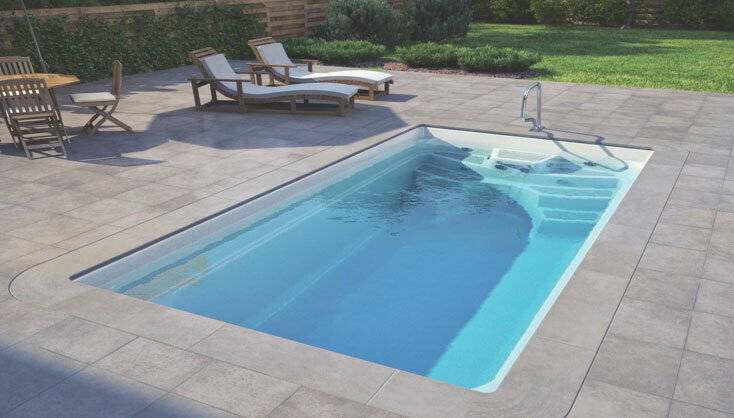 Our Luxe range of Pools offers a variety of styles, sizes and purposes for all homes. 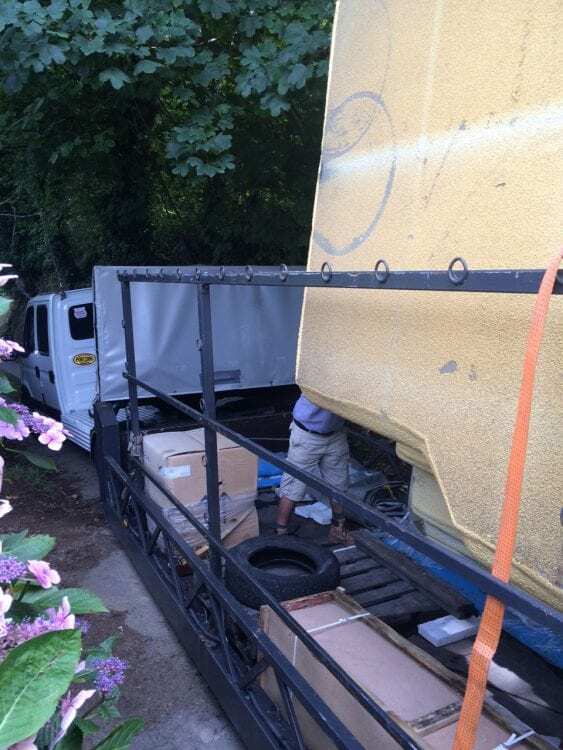 Delivery in one piece means simple delivery and quicker installation than usual, and their more compact size makes them more affordable. Our Luxe pools come with a 10-year guarantee against colour osmosis, and 20-year structural warranty. Luxe Skimmer Pools are the traditional swimming pool. Available in various models. Model names: Wanaka, Koro, Toba, Lugano & Garda. Named for the beautiful mirror-like effect that comes from the water level of this particular pool, the Mirror Line is perfectly sculpted for shape. Inspired by the size of our ever-popular Wanaka pool, an in-built water balance tank is incorporated, presenting a 30mm freeboard. Our Mirror Line pools come with everything you need, including a separate overflow tank, filtration and equipment, automatic water level control and natural border stones. 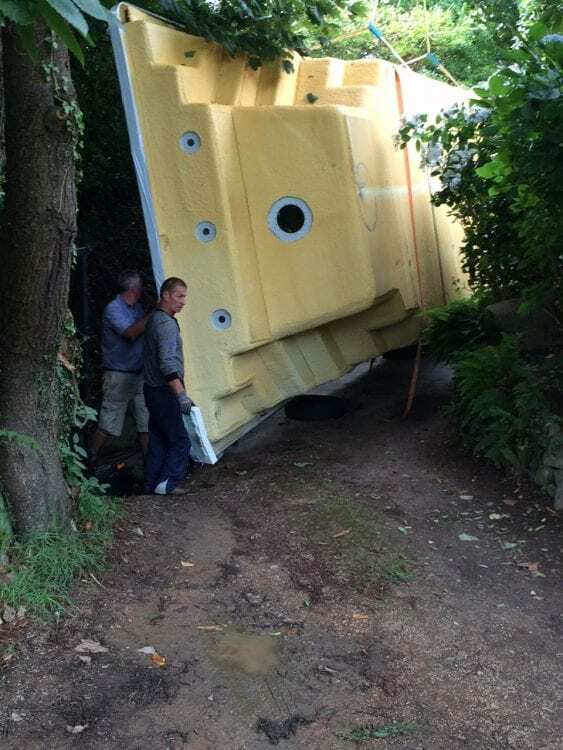 Think you can’t have a pool in the city? Think again! Our City Pool is specifically designed for small gardens and budgets, as it comes in a single unit small enough for a back yard. Measuring just 4750 x 2540 x 1350, the City Pool may be small but it is mighty, with an exercise swim jet and seating areas with a spa jets. The City Pool comes supplied with a pre-plumbed filtration unit, jets, electric heater, and LED lights and controls, but only for in-ground installation. The Dove 6.70m pool is converted to a deck overflow system. 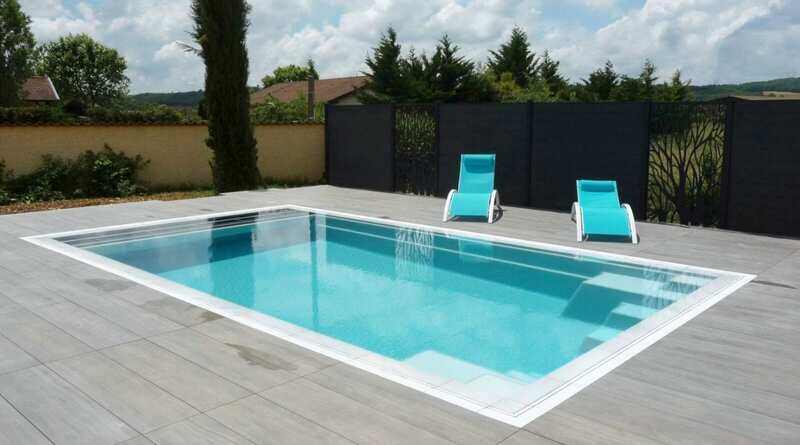 Pool is supplied with an in-built automatic slatted (Polycarbonate) cover system with high water level control, stone grating kit and water balance tank. Purpose made for some of our finest pools, our Slatted PVC Covers are perfect for both covering your pool and presenting an insulated barrier. The integrated slatted cover system is operated by key switch and come with a stainless steel support beam, lid housing, control unit and an in-tube motor. Two types are available: PVC White and PVC Solar, the second of which uses solar energy to heat the swimming pool. Luxe Pools offer an affordable GRP reinforced one-piece swimming pool that can simply be dropped into an excavated hole and filled with water within a matter of days. 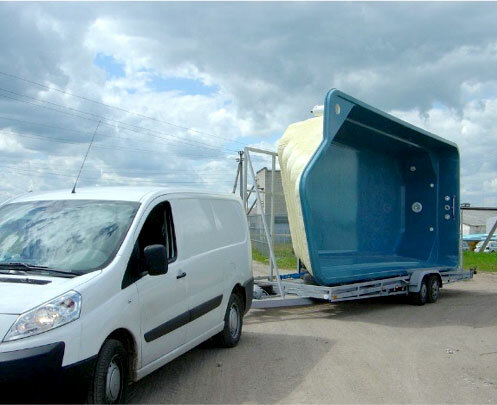 Available exclusively through a Paramount network of national pool dealers, Luxe Pools are made to order and delivered directly from their 15,000 SQM factory in Lithuania. Using 100,000 kilos of resin every month, Luxe pools are designed to cater for the extreme temperatures changes in northern Europe, Scandinavian and Russian climates. 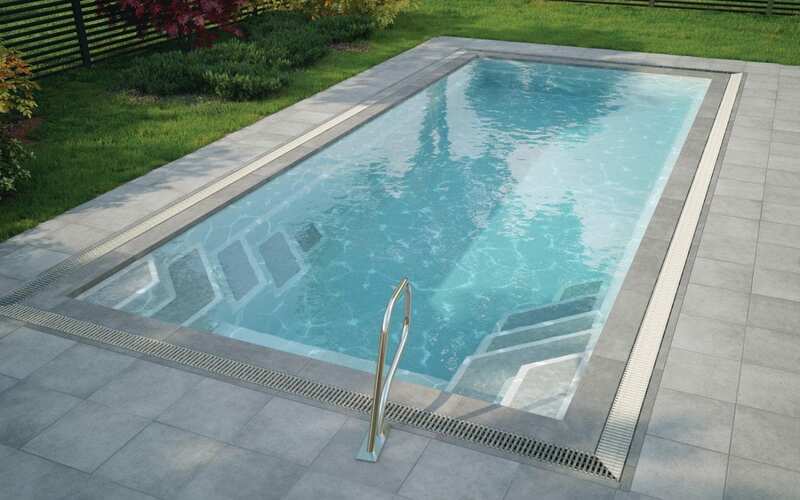 The pools are provided with a 20-year structural warranty and a 10-year colour-osmosis guarantee. With over fifteen different models to choose from, LUXE Pools are able to accommodate most of your pool requirements. 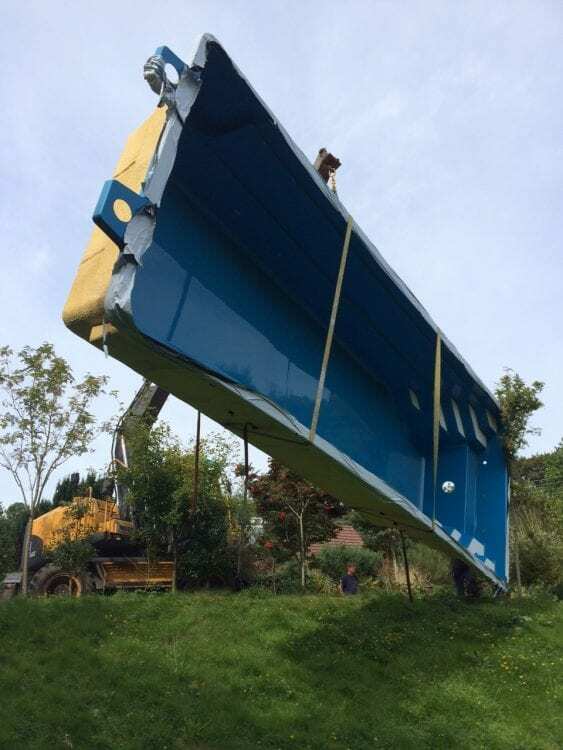 The most two most popular pools ‘Wanaka 8.50m and 10m’ will be a stock item (subject to availability) here in the UK. 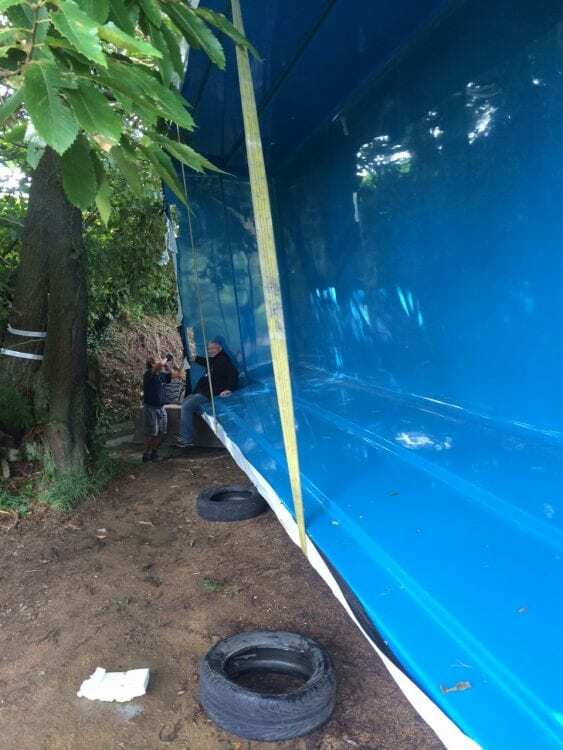 All stock pools will be available in Ocean Blue colour only. For all other models allow 6-8 weeks for delivery. To protect the integrity of the Luxe Pools brand Paramount supply pools through approved dealers only, ensuring that you receive the best possible advice, installation, assistance and customer service. The complete package delivered to your door! Hayward Max Flow 55kW Pump. LED Underwater Light inc. Deck Box. PVC 50m Plumbing Kit and Fittings. Note all fittings supplied are 63mm. Electric Control Panel (1 phase) inc. Transformer 12V 50W, Timer, 5 x Contactors. 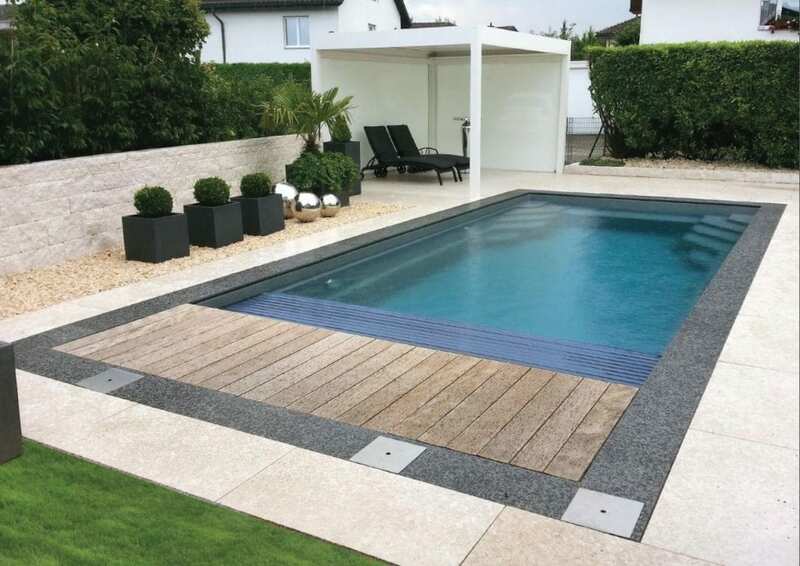 All Luxe pools are manufactured using 3D Super Granicoat Gelcoat providing an artificial sparkling granite type effect that enhances the overall appearance of the pool finish. Available at an extra cost, the 3D Ultra Granicoat incorporates an additional 4 layer process gelcoat (sparkle) layer that emits a three-dimensional finish. Installing a Luxe Pool is far less time consuming than building a pool out of conventional concrete pool and far more economical. 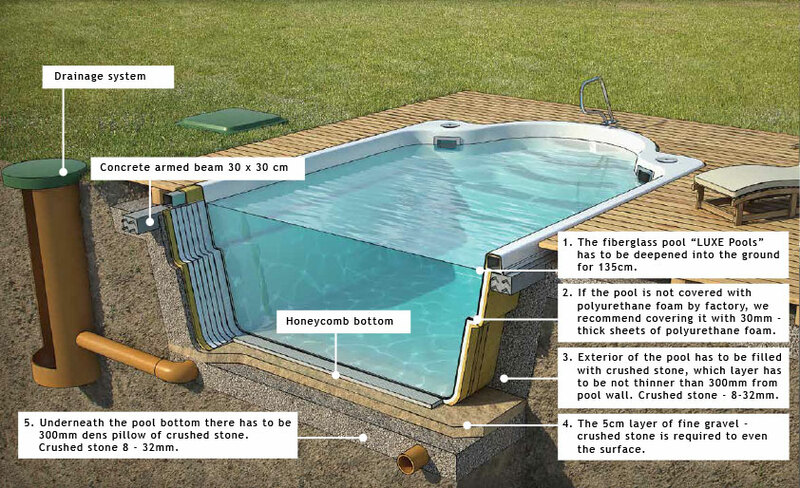 Installation consist of excavating the hole 300mm wider (all sides) than the pool shell, installing a suitable drainage system and suitable floor base. 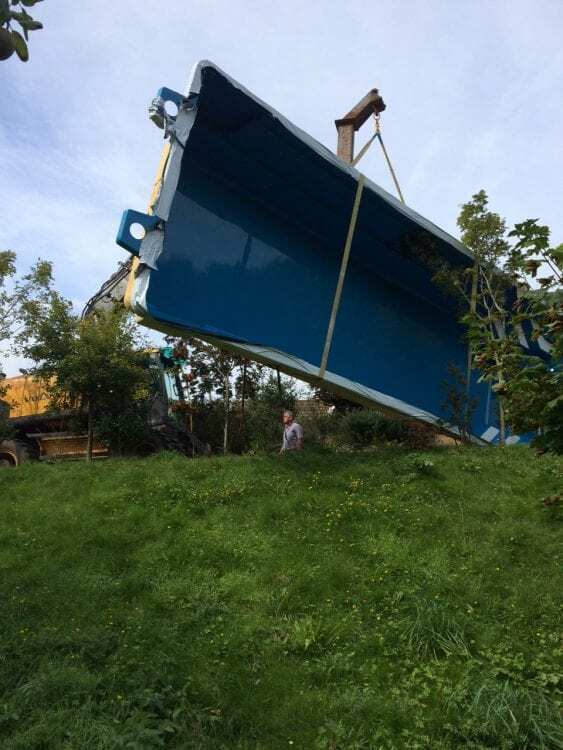 The pool structure is then simply dropped into position by a crane. 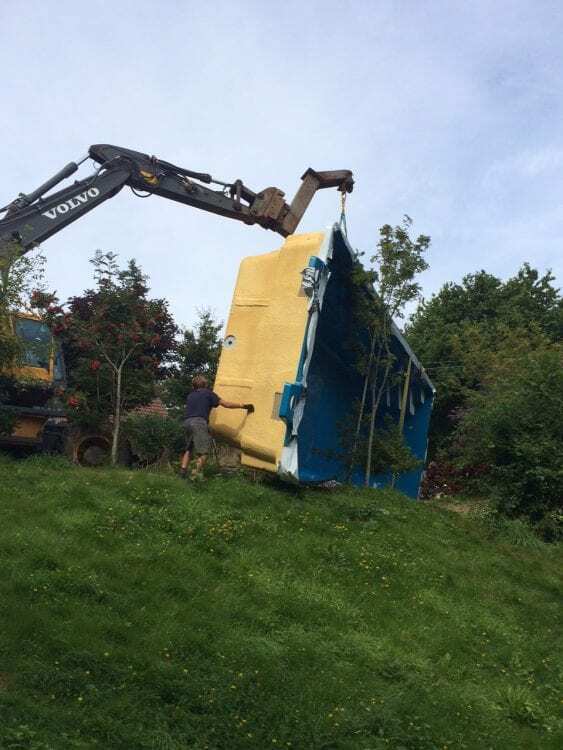 Using a laser lever or similar, the pool is set to the correct height and then backfilled with a suitable non-expansive material (20mm shingle). The backfilling must commence whilst filling the pool with water (at the same level). 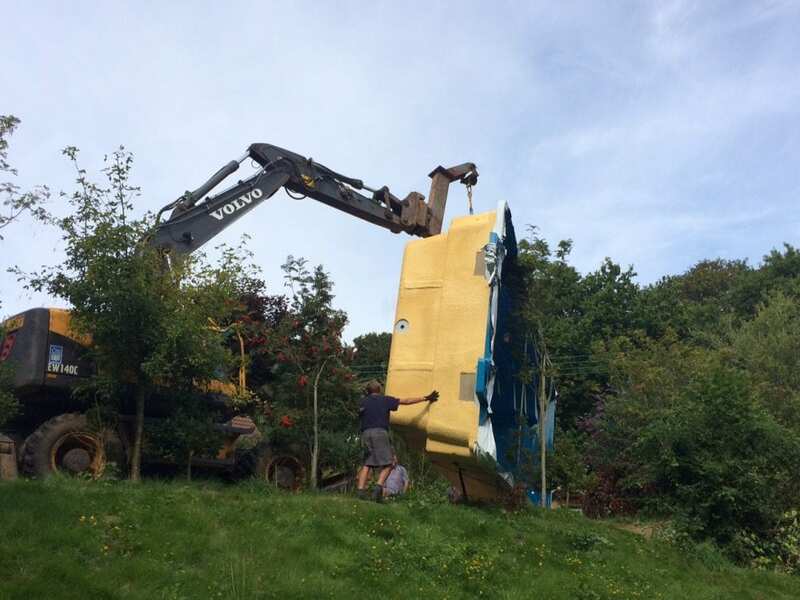 Note- due to the nature of fibreglass no structure over 3m can be made to an exact measurement. 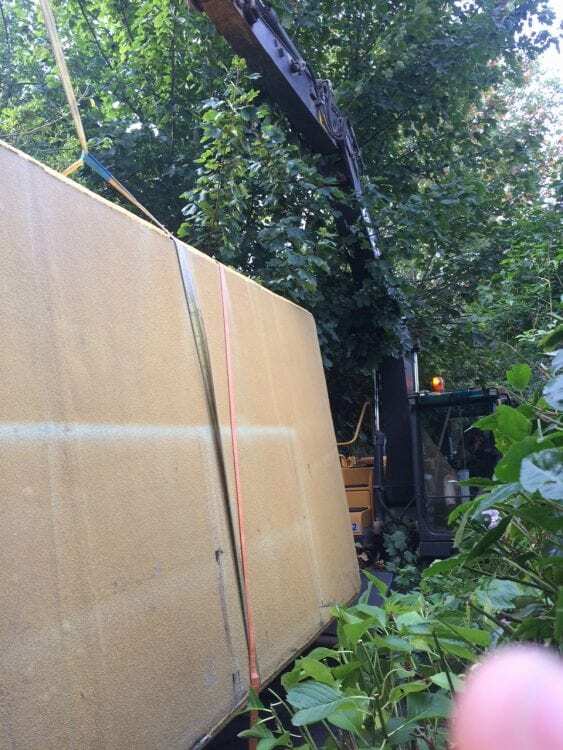 Natural deflection will occur and a -/+5mm tolerance must be allowed for. 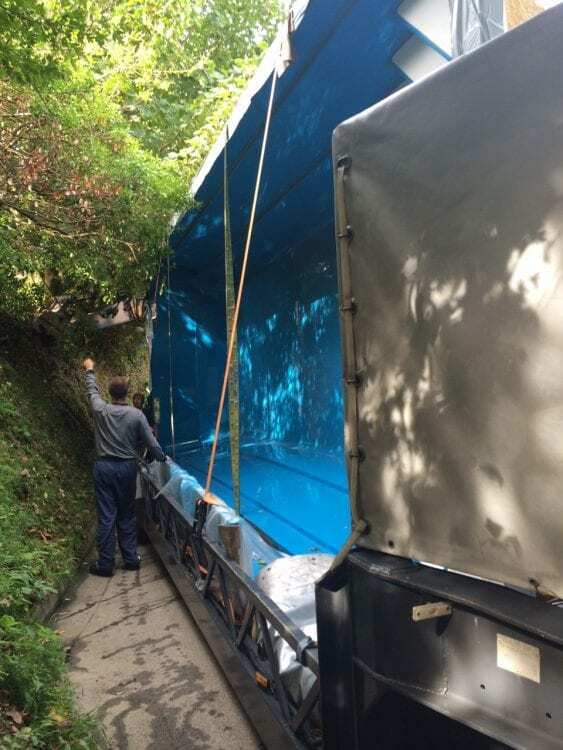 We would advise that you seek a professional pool dealer to undertake the installation for you. If you are an experienced builder or competent DIY enthusiast then it is feasible for you to self-install but we would insist the work is overseen by one of preferred dealers. 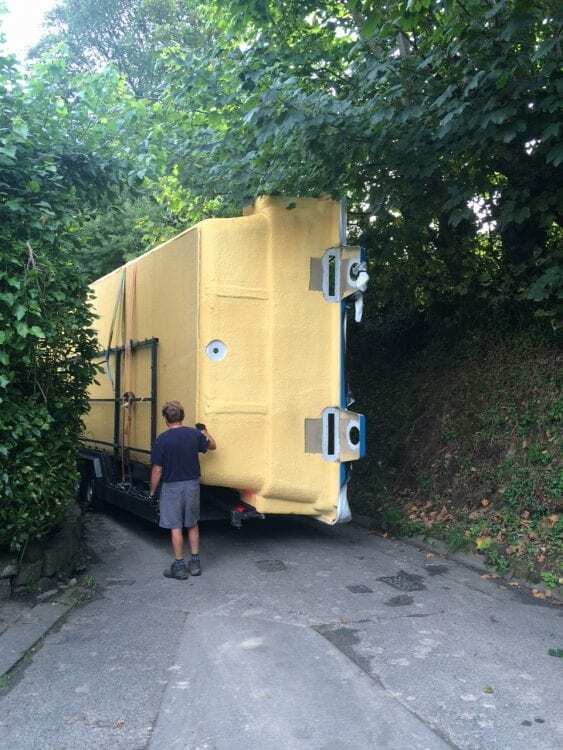 Apart from installing the basic pool structure you will need guidance on installing the filtration and optional equipment such as heating, heat retention covers and basic maintenance. Your pool dealer will be able to add the following items to your pool. Stainless Steel Fittings: Upgrade all the standard white ABS fittings to stainless steel! Why not turn you pool into an exercise machine. Enclosures available for year round swimming. XPS Insulation boards- to retain even more heat. Ideal for indoor pools (Part L compliant). Electric In-built Slatted Cover System.